The dodo, as most of us are well aware, is the subject of such well known epigrams as being dead as one; it remains a fixture of popular culture and language, often seen as a symbol of obsolescence, stupidity and (naturally) extinction. 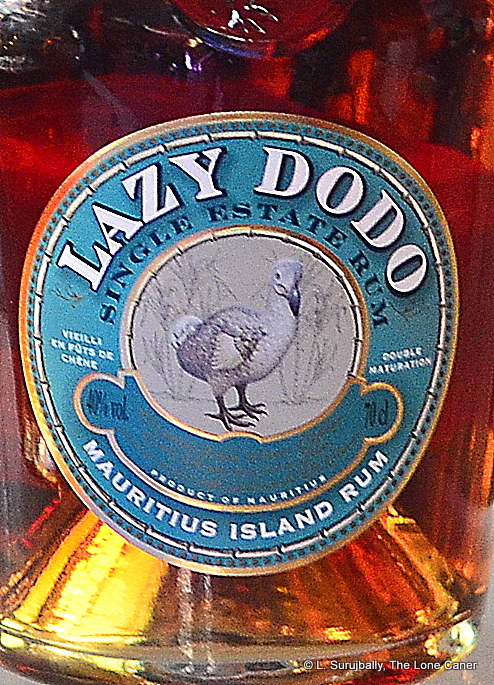 It is therefore something of an odd emblem for a rum company to use as its name and symbol, unless it’s considered so firmly associated with Mauritius that bird and island are seen as synonymous (which I don’t believe for a moment). So aside from the officially stated purpose of the logo raising awareness of endangered species, perhaps what we see here is also a sense of humour at work, especially since modern scientists suggest that the dodo was actually quite well adapted to its ecosystem, and it was invasive species and humans that ended up wiping it out – the bird was nowhere near as dumb as we are given to think. Anyway, as a marketing strategy, that name works like a charm, since, as soon as I saw it in Berlin in 2016, I beelined straight over to try it, because come on, with a title like that, how could I possibly resist? It’s like telling any Guyanese male that there really is a vodka brand called IPR – all of us would instantly buy a case. 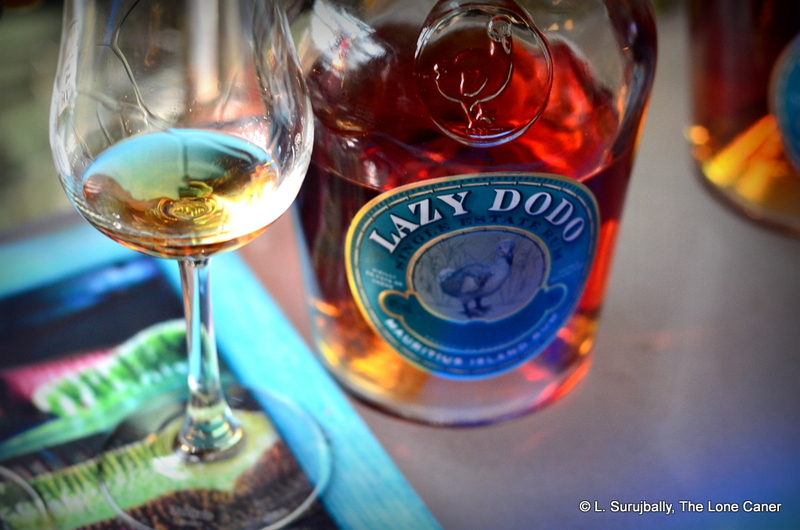 Lazy Dodo Single Estate Rum (to give it the full name on the label) is made by the Grays of New Grove Rum fame (run by the Harel family that I wrote about in the New Grove 8 Year Old review) and the Milhade family who are wine makers out of Bordeaux. 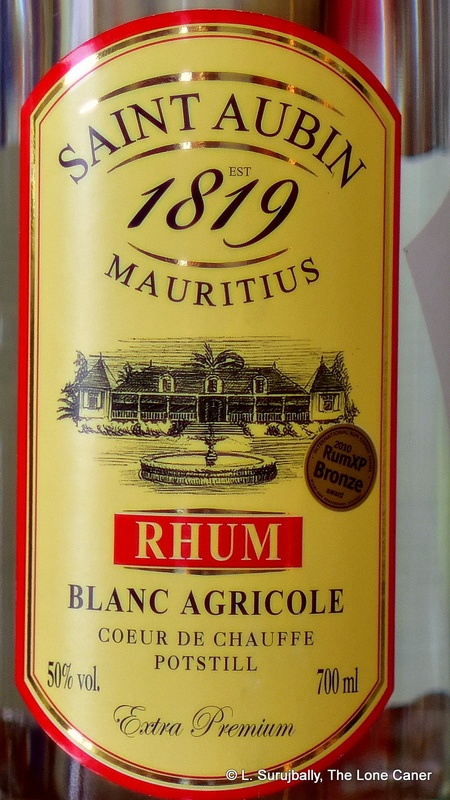 What background literature exists suggests that the collaboration is more in the way of knowledge sharing than strict apportioning of labour, since the cane and harvesting and processing and ageing all take place on the Pampelmousses estate in Mauritius, though perhaps the sales network in France owes something to the efforts of the Millhades who have a stronger prescence in Europe. The amber-coloured 40% ABV molasses-based, column-still product is a blend of rums aged 5, 8, and 12 years and aged in both new and used American and French oak barrels (hence the moniker “double maturation” on the label). Oh, and no additives, so I was informed. 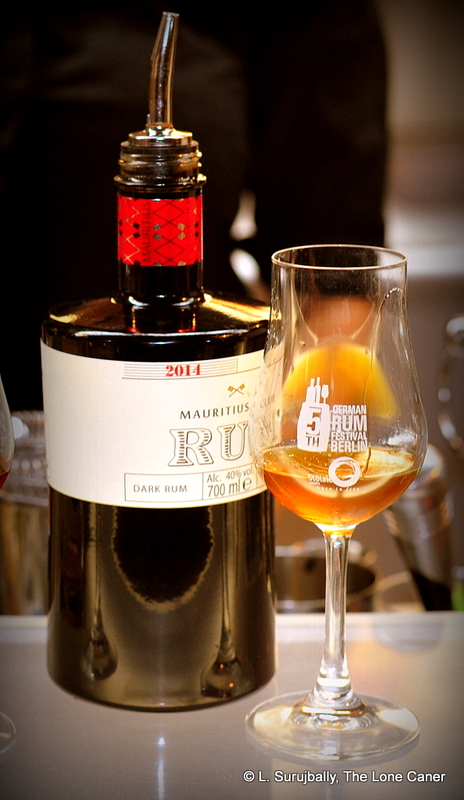 It had its coming out parties 2016 in the rum festival circuit and seemed to be quite popular, if one were to judge from the “Sold Out” sign posted up on the second day of the Berlin RumFest. 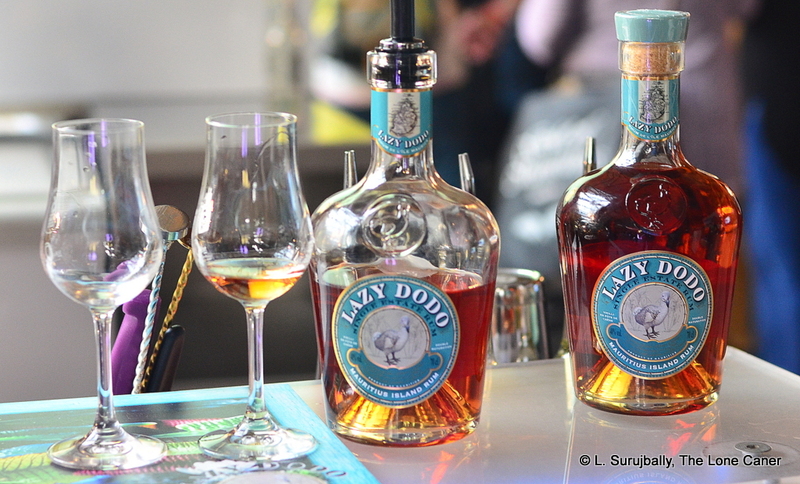 That didn’t necessarily mean it was a top tier rum, just one that was popular and very easy to drink. Nose-wise it actually presented as rather sweet and had notes of green grapes and pineapple and ripe mangoes, which I thought may have been a little over the top – there was very little of a “standard” profile here, though what was available to smell was in no way unpleasant, just rather mild, even understated. Similar thoughts passed through my mind on the tasting. At 40% it was a defanged sort of rum, medium bodied, and the sweetness was retained, with that and the blending rounding off any rough edges it may have started life with. There were the same grape-like tastes, less pineapple here, and as it opened up (and with some water) vaguely crisper flavours emerged – citrus, red grapefruit, cider, apples, followed by some vanilla, creme brulee and soft toffee notes. It closed off short and warm, with little of the tartness carrying over into the finish, just caramel, some light citrus and nuts, and a touch of vanilla. While I can’t rave about it, at the end of the day it’s a relaxed, laid back, unaggressive (dare I say “lazy”?) sort of sundowner, nothing earthshaking – at best it made my glass wobble a bit. Aside from enjoying its placid nature I’m merely left curious as to which market it was made for. The Europeans with their penchant for more forceful drinks and robust profiles trending towards the agricole market? Tourists? Denmark, home of the cask-strength-loving vikings? The North Americans who mostly consider standard proof to be the rumiverse? Connoisseurs, barflys, cocktail makers? Hard to say. 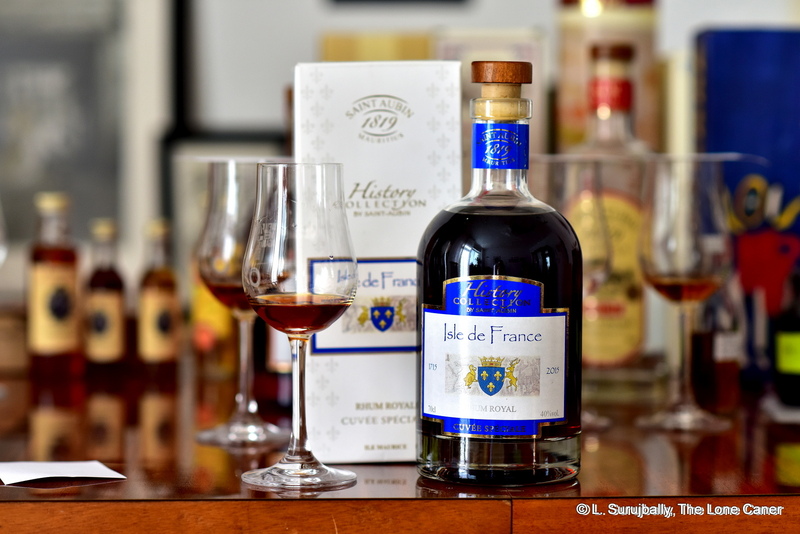 I consider it a pretty good day-to-day sort of rum, well made and reasonably complex, if lacking anything that specifically screams “Mauritius” about it. But whatever the case, it probably won’t go the way of its namesake any time soon…it’s too decent a rum for that, and will likely be the bees’ knees for those who succumb to its light and languorous charms. You’d think that with the various encomiums the rum has gotten that it’s some kind of diamond in the rough, an undiscovered masterpiece of the blender’s art. “Incredibly rich…mouth watering…a cracker,” enthused Drinks Enthusiast; and the comments of Master of Malt (which one should take with a pinch of salt), are almost all four- and five-star hosannas. Me, I think that although it has a nifty squared off bottle and a cool simple label, beyond that there’s not much to shout about, though admittedly it has its points of originality in simplicity that must be acknowledged. Let’s get the facts out of the way first. 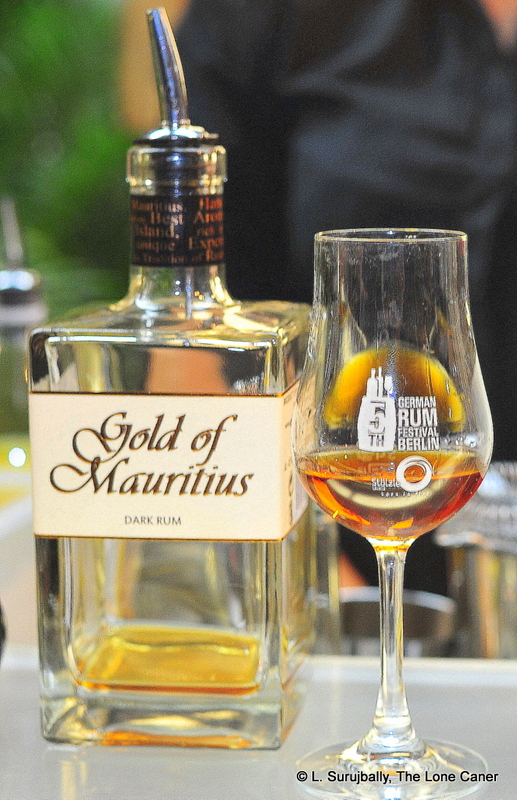 The Gold of Mauritius is a 40% ABV darkish amber-red rum, aged around a year to fifteen months in South African port barrels which have residue of port still in them; and is a blend of rums from various small distilleries around Mauritius (the specific distillery or distilleries which comprise this one are never mentioned). Caramel colouring is added to provide consistency of hue across batches. The guy who’s done the most research on this is my buddy Steve James of Rum Diaries (who also liked it more than I did), so for those who want more facts I’ll point you to his excellent write-up, and move on. Overall, the nose was interesting at first, leading in spicy before chilling out to become softer and sweeter, with a ton of coffee and vanilla notes duelling it out with ripe cherries and apricots. There was a dry hint in there, chocolate, salt caramel (it kinda nosed like a tequila for a while). It was surprisingly deep for a 40% rum, which I liked. It’s on the palate that one got the true measure of what the rum was. Here, the port influence was massive. It was warm and sweet, with an initial dark mix of molasses, sugar and smoother vanilla. It’s not particularly complex, (the dark likely refers to the taste profile rather than the colour or long ageing), and it reminded me somewhat of a dialled down Young’s Old Sam, perhaps less molasses-dominant. Some faint fruitiness here, a bit of tart citrus, but overall, the lasting impression was one of chocolate, coffee grounds, salted caramel ice cream, crushed almonds, molasses and vanilla: simple, straightforward, direct and not bad…but in no way unique either. Even the finish added nothing new to the experience, being short, warm and faintly dry. Let’s be honest. I thought it was rather forgettable, and felt its cousin the 3-month old 2014 Sherry Cask to be better, perhaps because the sherry there had somewhat less influence than a whole year of port. 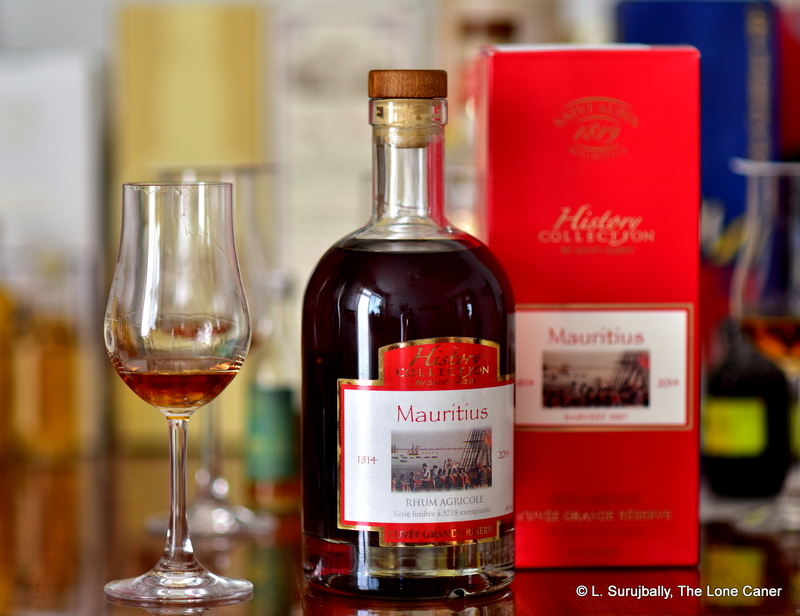 Too, I don’t really see the point – the rum is not “finished” in the conventional sense of the term, but completely and fully aged with the port barrels, and that gives them an influence over the rum which masks the uniqueness of what Mauritius as a terroire should be able to showcase. 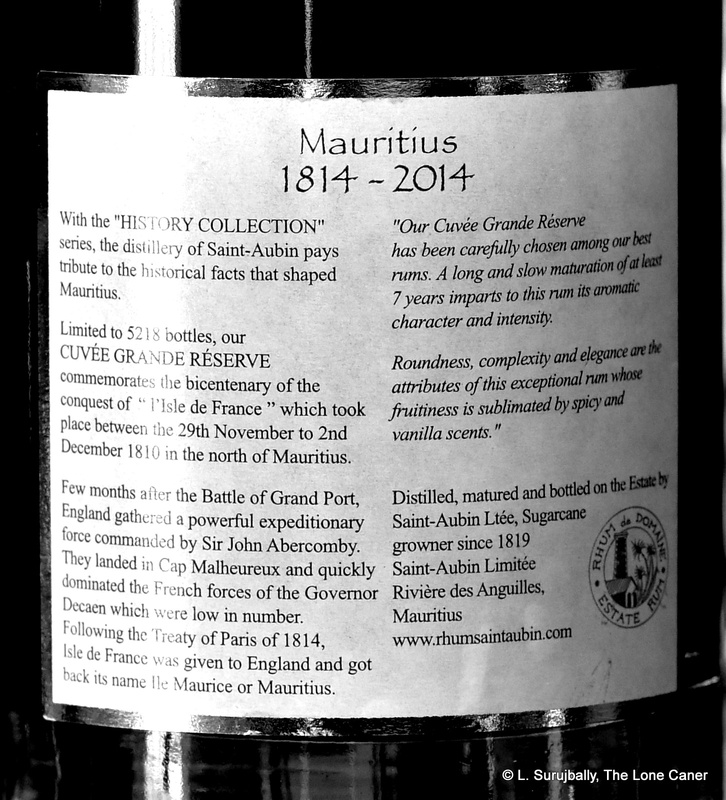 In other words, while I’m a firm believer in the whole concept of geographical regions imparting distinctive tastes to rums, there’s nothing here that says “Mauritius” because the port influence so dominates the flavour profile. Overall, then it leaves me not getting a rum, but a flavoured version of a rum. And that’s not to its advantage, though for those preferring simple, straightforward dessert rums, I suppose it would be right up their alley. Photo crop courtesy of the Ultimate Rum Guide, as mine turned out to be crap. A little too thin and out of balance for my palate, though the tastes are intriguing. A few words about Mauritius, an island nation in the Indian Ocean to the east of Madagascar, which has been at varying times composed of more islands and fewer, and either Dutch, English or French…though Arabs and Portuguese both made landfall there before initial failed colonization (by the Dutch) in 1638. However, its strategic position in the Indian Ocean made both French and British fight for it during the Age of Empires, and both remain represented on the island to this day, melding with the Indian and Asian cultures that also form a sizeable bulk of the population. The volcanic nature of the soil and tropical climate made it well suited for sugar cane, and there were thirty seven distilleries operational by 1878, who sold mainly to Africa and Madagascar. New Grove is a rum made on that island, and while the official marketing blurbs on the Grays website tout a Dr. Harel creating the rum industry back in 1852, the first sugar mill dates back to 1740 in Domain de la Veillebague, in the village of Pampelmousses, with the first distillery starting up two years later: New Grove is still made in that area, supposedly still using the original formula. The Harel family have moved into other concerns (like the Harel-Mallac group, not at all into agriculture), but other descendants formed and work for Grays – one of them sent me the company bio, for example, and three more sit on the board of directors. Grays itself was formed in 1935 (the holding company Terra Brands, was established in 1931 by the Harels and the first still brought into operation in 1932) and are a vertically integrated spirits producer and importer. 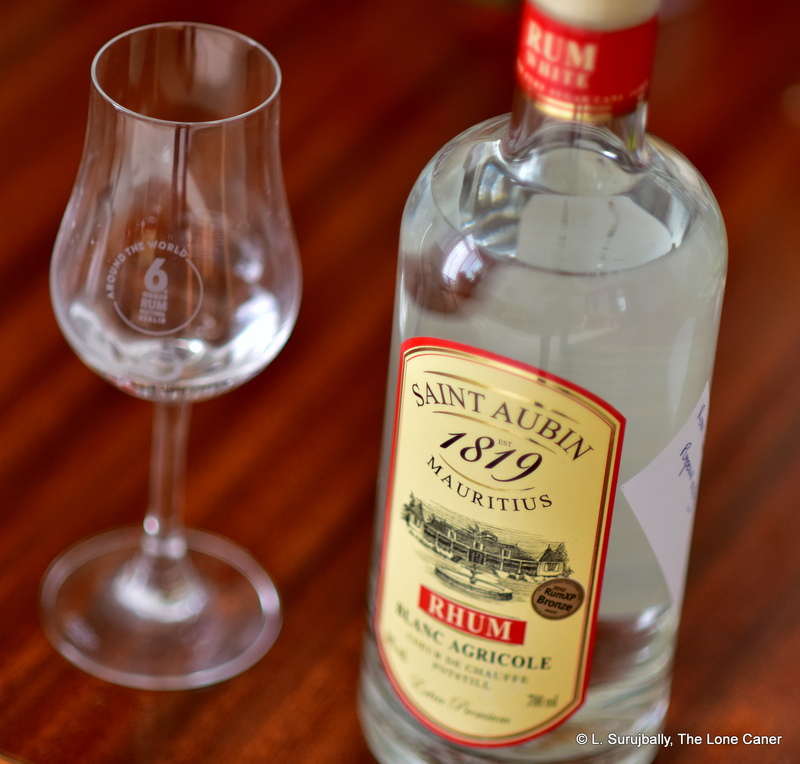 They own all stages of local production, from cane to cork, so to speak, and make cane spirit, white rum, a solera and aged rums, for the Old Mill and New Grove brands which were established in 2003 for the export market. It was the eight year old New Grove which I was looking at this time around. The molasses is fermented for 36 hours and then distilled in a column still; the emergent 65-80% spirit is then packed away in oak for preliminary ageing (about eight months) and then transferred into Limousin oak – about 30% of these barrels are new – for the final slumber. So all these are technical details, you say, historical stuff…what’s the rum like? Well, not too shabby, actually. 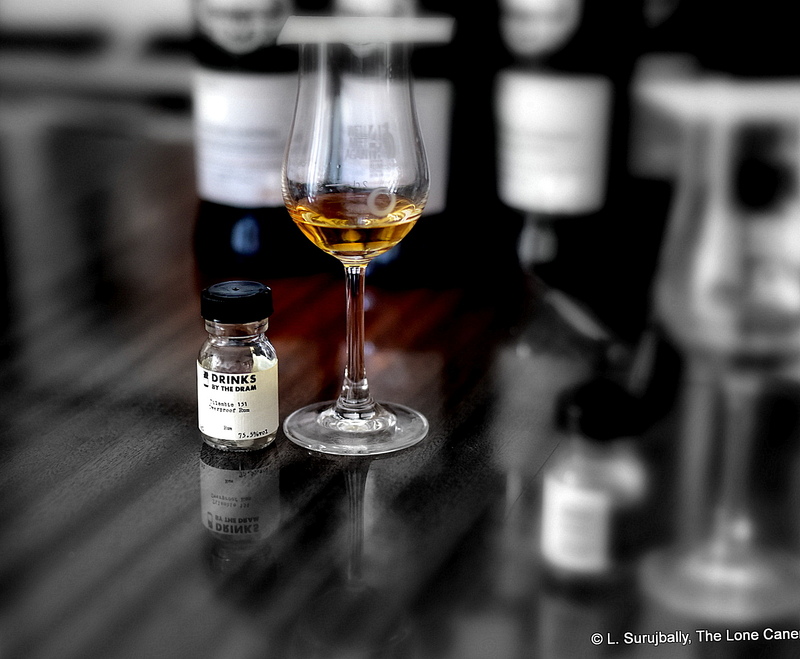 Even at 40%, the copper-gold 8 year old was intriguing. I mean…ripe mangoes right off the bat? Although the initial nose presented itself rather sharply – probably because I pushed my beak into the glass too quickly and hadn’t waited a little – it did mellow out a little. Sharpish yellow fruits – peaches, unripe papaya, lemon peel, green grapes – predominated, and had a tang to it (that mango thing) which was quite unusual. The downside was that the balance of the vanillas an tannins and caramel – the molasses side of things, if you will – was edged out, and some of the balance was lost. On the palate, the flavours continued their emergence without much more, but the whole mouthfeel was disconcertingly thin, and even a bit spiteful. This gradually retreated and the taste after a bit gave way to a much softer profile of red guavas, firm yellow Indian mangoes (they’re slightly different in taste to Caribbean ones I grew up with), ginger, papaya again…and a taste of white soursop as well. So taste wise, I liked it – sort of – but the overall balance problem did persist, and the lack of heft and body kinda sank the experience for me. Things were rescued somewhat by a relatively long fade, smooth and warm, nothing to be afraid of. A whiff of tobacco, some brown sugar and vanilla at last, a tad of smokiness – it was odd how the fruity nature disappeared, leaving more traditional elements to finally take their moment on the stage only at the final bow. So overall, not anything to I was going to get hugely enthusiastic about. I should mention that this eight year old has in fact won silver and gold awards in 2013 and 2014 on the European festival circuit (Madrid, German ISW, Belgium, and UK IWCS) so certainly others take a less unforgiving approach to the spirit than I do. But what can I say – it’s a rum, it’s aged, it’s decently made, but it doesn’t really come together, sock me in the jaw and shiver me timbers. I’d much rather take a look at New Grove’s 2013 limited single barrel expressions from the 2004 output, aged longer and with a higher proof point…I have a feeling I might appreciate these more. That said, note that for a US$50 price point, the eight year old will likely be enjoyed by many and is reasonably affordable. Only time will tell how sales and the expression’s reputation develop.